Hey y'all! I hope you had a wonderful weekend! 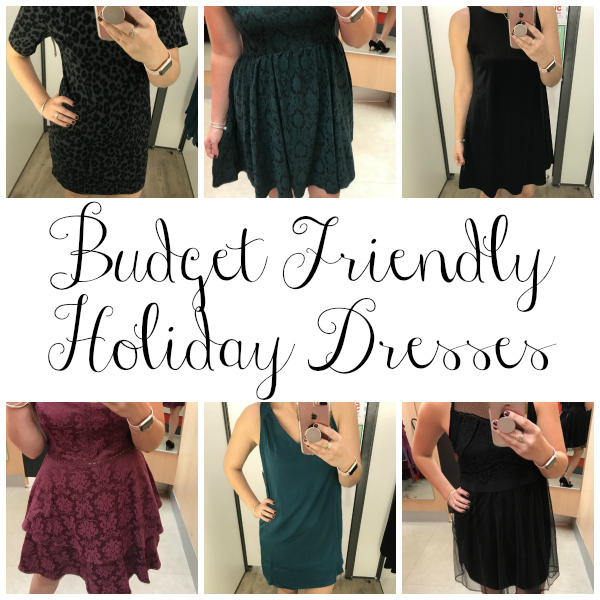 As promise, today is all about budget friendly holiday dresses! All of today's picks are perfect for wearing for a office Christmas party, Thanksgiving dinner, a night out with your best friends to celebrate the holidays, or a New Years Eve soiree. But the best part of these dresses is that they are all way under $40! 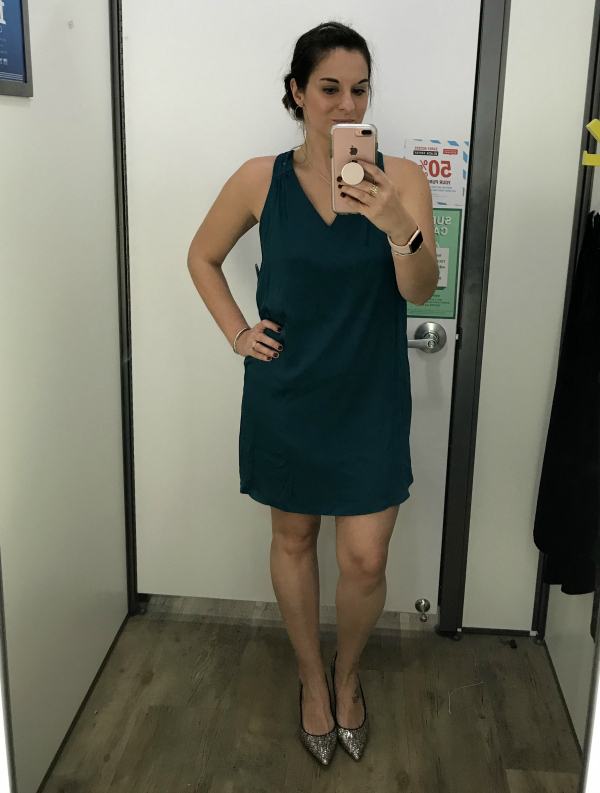 I tried on six great options and I am sharing some additional options at the end of this post. You don't have to break the bank to look amazing at your upcoming holiday event this year! 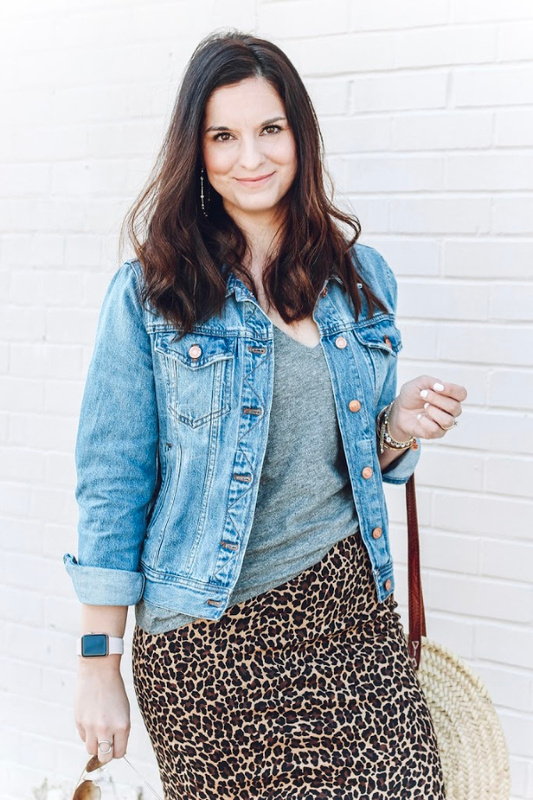 This leopard dress was my top pick and I had to have it! It's such a great versatile dress because it can be dressed up for the holidays (hello, glitter heels) or dressed down for everyday wear with riding boots and a cardigan! It is made out of the softest ponte knit fabric. Fit: I tried on an extra small because that's the only size they had available in my store. I could have worn the extra small (even though I am no extra small) but I ordered the small online for a more relaxed fit and a little extra length. For reference, I am 5'5". Also, for the glitter heels, if you are in between sizes, I would definitely size down. I'm a true 8.5 and I needed an 8 in these. 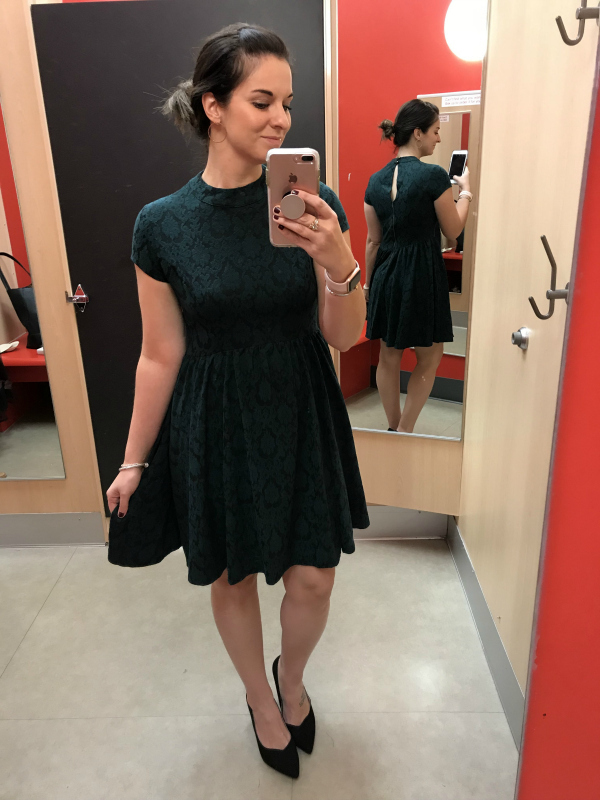 I absolutely love fit and flare dresses for the holidays. With a pair of great heels, this style is so pretty on everyone! I also really loved the texture of the fabric. Fit: I sized up one size to a medium for this dress for a little extra room. The small also would have worked but I like breathing room in my holiday outfits because food, lol. These black heels are a must have timeless pair of shoes! I will also be ordering these, as soon as possible. They are very comfortable and the fit is true to size. 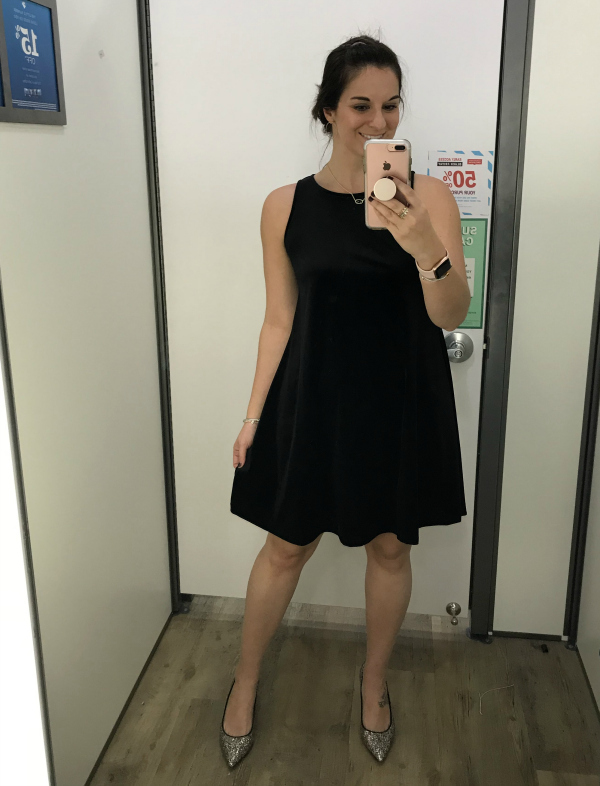 As you know, I am loving all things velvet this season and I'll always love swing dresses! This velvet fabric takes your average swing dress up a notch. Throw on a pair of heels and statement earrings for a comfortable holiday look! Fit: This dress fits true to size. I'm wearing a small. This dress was definitely not something I would normally choose but I love the double ruffle detail and the color. 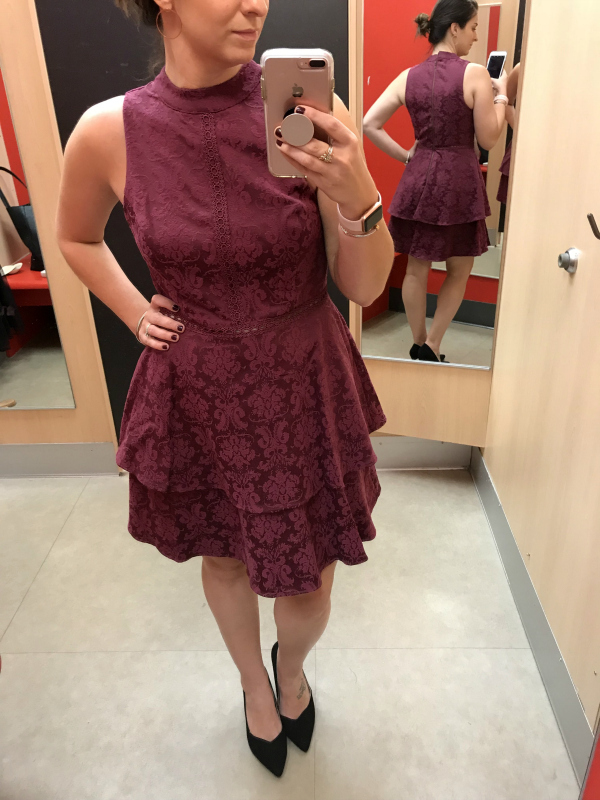 Such an elegant dress and I can't believe it's under $30, y'all! Fit: I tried on a medium but I definitely think the small would have been a better fit for me in this one. I would definitely say this dress runs true to size so stick with your normal size. I often size up in this brand but it wasn't necessary for this gorgeous dress. I unexpectedly loved this dress! It honestly didn't look like anything much on the hanger but this color is one of my favorites for the holiday season so I decided to give it a try. This shift dress is so flattering and has an adorably classy bow back detail. Fit: I am wearing a size small in this dress. I found the fit to be very true to size. 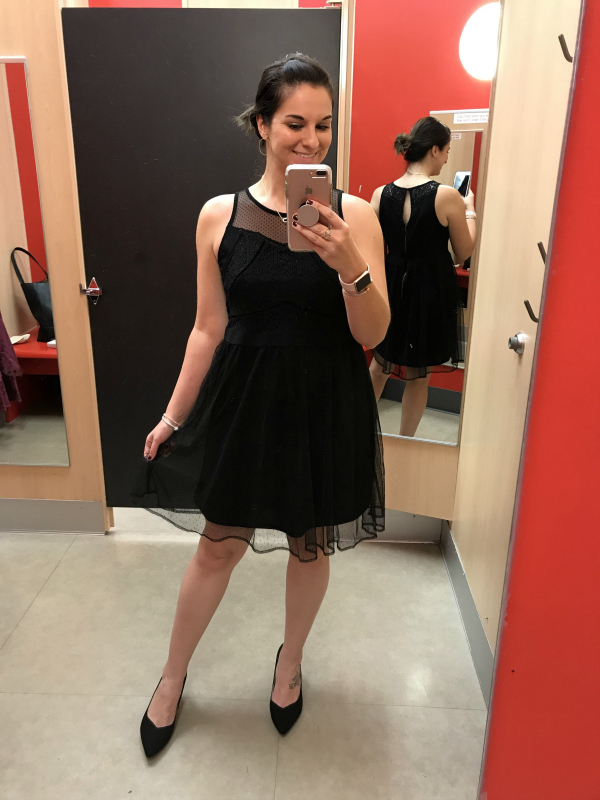 This is another super elegant and can you believe it's from Target?! This little black dress is under $30 and has the prettiest lace overlay. I love this one! 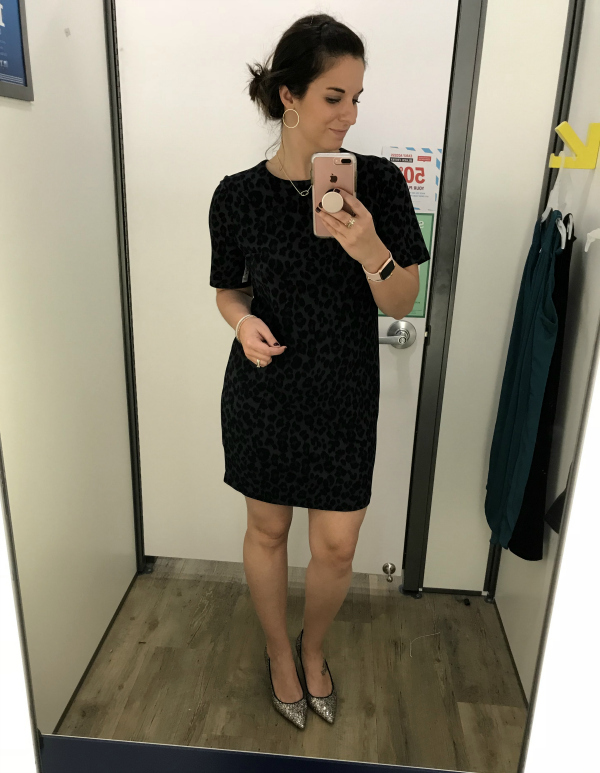 Fit: I tried this dress on in a size medium and it was a little roomy on me. I definitely think a small would have been a much better fit in this dress. All of these dresses are so pretty but I think my fave as well is that lepoard one!!! It would be also perfect for work wear so I think thats why I love it so much! Thanks for sharing! Love budget friendly posts!!! !